My husband and I are traveling on Dec 26 from Gstaad to Geneva via Swiss Rail. We get in at 1:39pm at the Geneva Train station. From there we will rush to the Geneva Airport to check luggage, get through security and try to catch a 3:05pm Air France flight to Paris. This gives us approx 1 hour 20 minutes. Is this enough time? If not, we can take a later flight, at 4pm. We have not booked our airline tickets yet. Your advice is appreciated as we do not know the layout of the train station and airport. 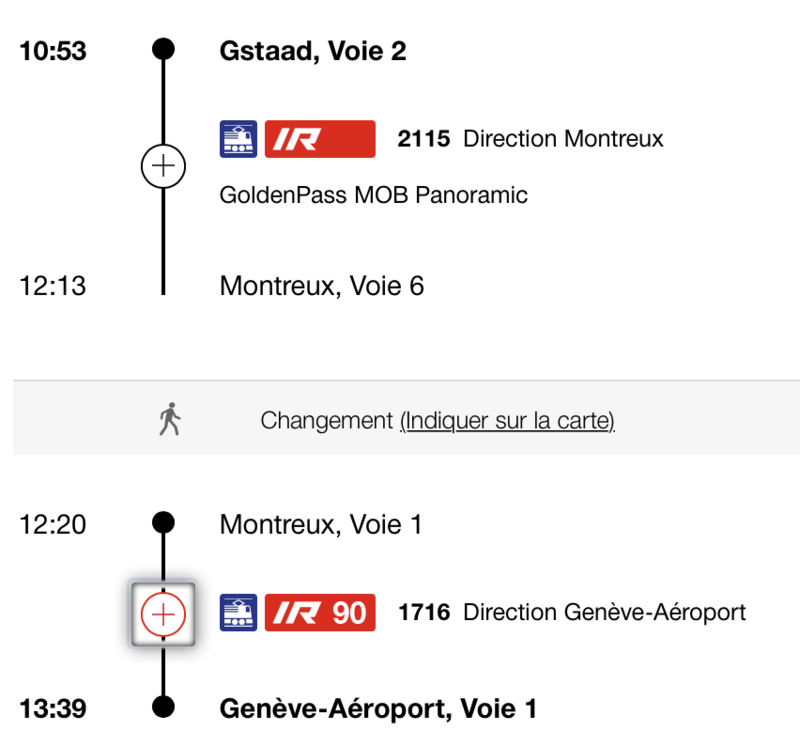 Your train arrives at 1:39pm at Geneva Airport Station, not Geneva station (it will have stopped at Geneva station 9 minutes earlier). The Geneva Airport station is right next to the airport. The only difficulty is that the train station is connected to the arrivals level, when you want to go the check-in level (the french sector, actually). But that adds only a few minutes to get to an escalator or lift. All in all, it should take you less than 10 minutes to get from the train to the check-in counter. It's unclear whether the check-in deadline for Air France flights from Geneva to CDG is 30 or 40 minutes (depends whether they consider it a french airport, which it is, or not). So, worst case, you would need to have dropped your bags at 2:25pm for the 3:05pm flight. That means you have about 35 minutes margin. Not the answer you're looking for? Browse other questions tagged geneva gva or ask your own question.